So Maple season is officially over. We pulled out taps from the trees about a week and a half ago and gave the buckets, lids, spiles and tools a good wash and rinse and set them in the cellar till next year. After everything was washed and rinsed the final bottling run was ready to go. Being a stickler for cleanliness I use a sanitizing bath from my homebrew supplies and soaked all the bottles including the flip tops for a half hour while I brought the final "cuvee" meaning a blend of all four batches of syrup we made this year. The final amount was just shy of 3 gallons excluding the extra boil day that I put into a carboy for the maple wine experiment. We bring the syrup up to 190˙ before bottling it to help maintain a sterile environment. 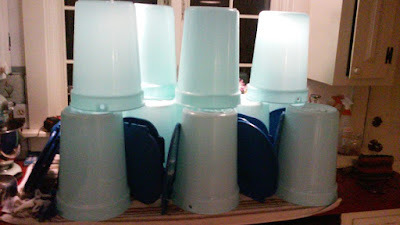 Using a funnel I slowly ladled the finished product into the jars and let them sit overnight on the counter to cool. I used mostly flip tops this year but decided to cork a couple 750mls to store in the basement as well. 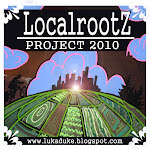 As you can see we made enough this year that we decided labels would be a good idea and seeing as I have been spending a lot of my free time working on logos for other friends and projects I figured it was do time to create some of my own labels for the Localrootz Homestead ! As you can see after two weeks in the fermenter I snagged my first sample of our first batch of maple wine in a little sampler glass. It is coming along nicely... still a lot of sugars to be converted but along with the sweet maple flavors there was some complex woodsy nuances with some tart citrus and lemon lingering on the palate. Curious to see how this progresses ! Well that is it for Maple Season... tomorrow is Maine's official Maple Sunday ! 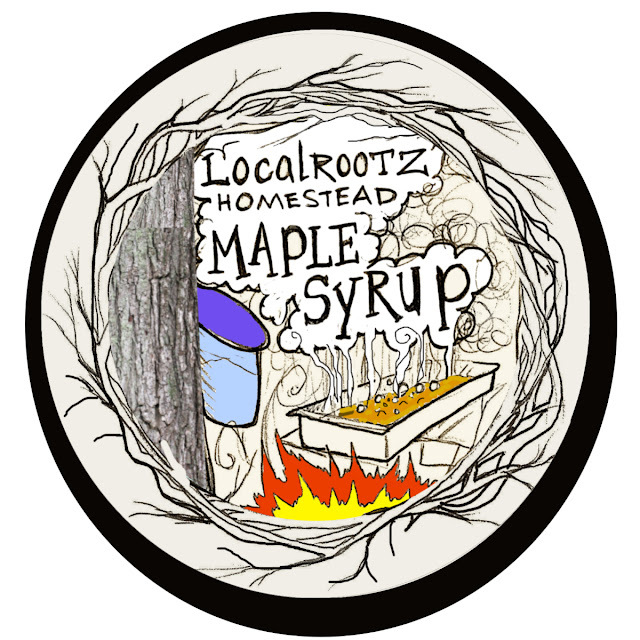 Do yourself a favor and go support some local syrup producers and get a little sweet sample of what the Maine woods has to offer. Till next post... as always thanks for reading ! Nice haul! And the labels look great!